"Tyrant", the new album from the Australian death machine AVERSIONS CROWN, can be streamed in its entirety using the SoundCloud widget below. 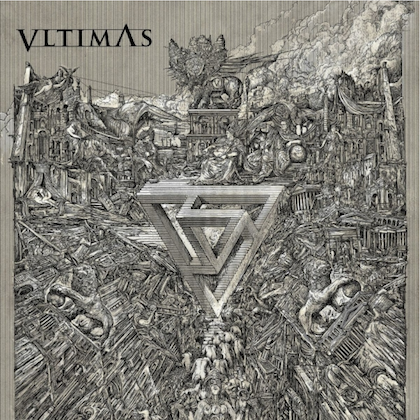 The CD will be released on November 24 via Nuclear Blast Entertainment. 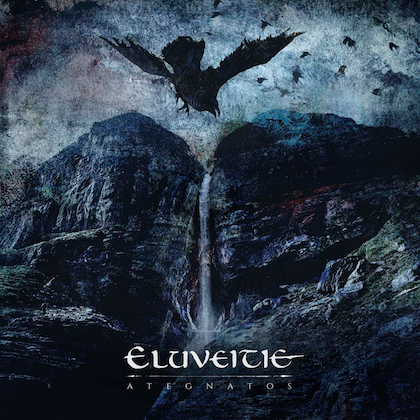 Formed in 2010 in Queensland's Brisbane, the same sunny stretch of Australian coastline that is responsible for launching the careers of PORTAL and THE AMITY AFFLICTION, AVERSIONS CROWN developed its pummeling blend of mechanized brutality and haunting atmospherics by utilizing three guitarists brandishing eight-string guitars. 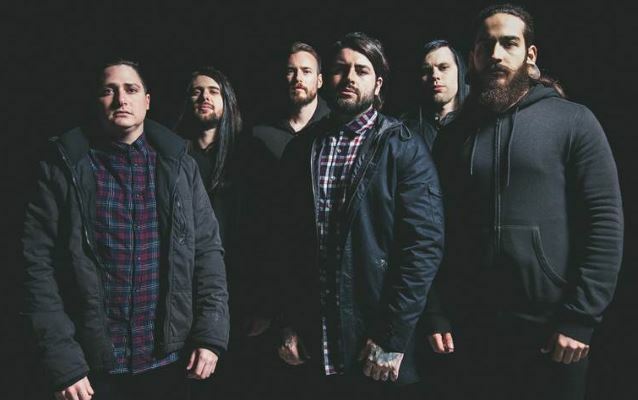 Appearing live as a wall of muscle, guitars and flailing hair, the band have logged serious road miles across Australia and Europe with acts like THY ART IS MURDER, THE ACACIA STRAIN, OCEANO, ALL SHALL PERISH, CATTLE DECAPITATION and appearances on the Vans Warped Tour. "Tyrant", the follow-up to AVERSIONS CROWN's 2011 debut, "Servitude", was created in the oppressive heat of Brisbane's summer with THY ART IS MURDER's Andy Marsh producing and Mark Lewis (WHITECHAPEL, CARNIFEX) of AudioHammer mixing. With a thematic fixation on dystopian nightmares and hostile extraterrestrial encounters, the relentless barrage AVERSIONS CROWN churn out across these ten songs will soundtrack either a solid Halo session or the coming invasion. 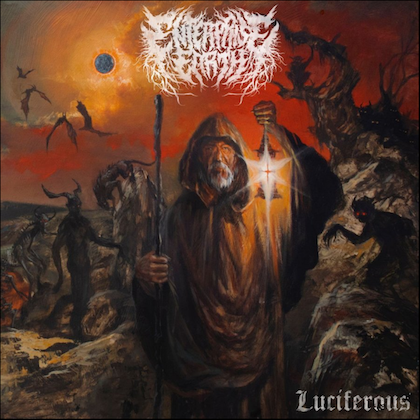 The striking artwork was created by Swedish visionary Pär Olofsson, who has worked with acts like PYSCROPTIC, ABORTED, ABYSMAL DAWN and THE FACELESS. 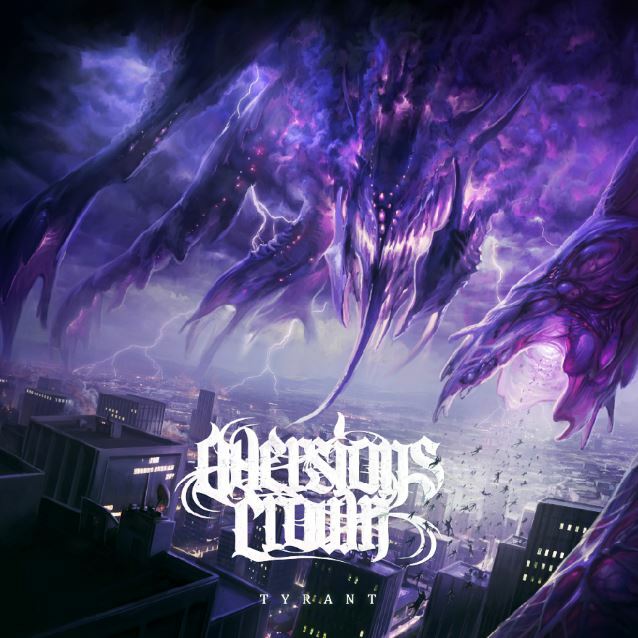 Asked what inspired AVERSIONS CROWN to become a deathcore band, guitarist Chris Cougan told SF Media: "I guess what we tried to do was to try and do something different to what the other local bands at the time were doing in our local scene, here in Brisbane. There were metal bands, but there wasn't really anyone doing the whole blastbeating thing, and down-tuning their guitars and stuff. Our influences at the time were bands that were doing that over in America, like WHITECHAPEL and BENEATH THE MASSACRE. So we tried to do something that we thought was similar to those bands, 'cause it's what we liked listening to. And then, obviously, over time, you start putting your own input into it, you start getting your own sound, the scene changes a little bit, and what you like back then changes. I guess it all slowly comes together, and then you start doing your own thing after a while. And just playing shows with different bands, and ones that are these world-class bands that come over. Like, we played with WHITECHAPEL, and seeing the way they conduct themselves and how professional they are, it really makes us want to set our game up, and become as good as what that band did on the stage, and the way they do everything, I guess. It's motivating just seeing how someone's bigger and see how they get around, and whatnot."